I am heading to Phuket in April 2012, and I want to be able to get on boats to go to some of the islands but unfortunately I suffer from sea sickness very badly. Is it rough waters to the islands? What type of boat would I be best to travel on to reduce sickness? 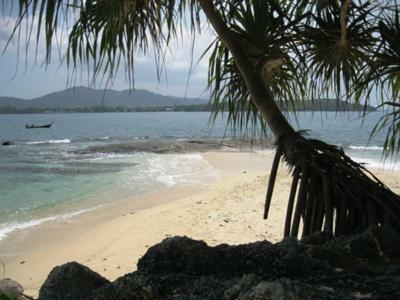 The seas around Phuket in April are still usually quiet calm. I would probably try a short trip to one of the closer islands like Coral Island & Bon Island first to see how you go before heading to places like Phi Phi or Phang Nga Bay. 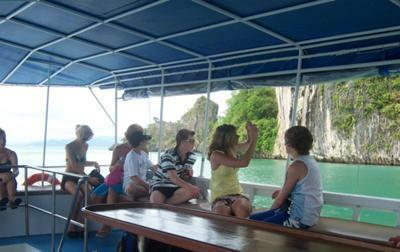 In saying that Phang Nga Bay is generally very calm all year round. There are a range of different boats to choose from, however as sea sickness is a problem a larger boat would be better but they are slower then a speedboat. I normally try to sit outside on the top deck in the fresh air, and if possible I will try and find some shade and limit my time below deck to the bare minimum.